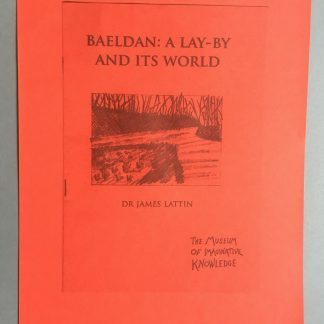 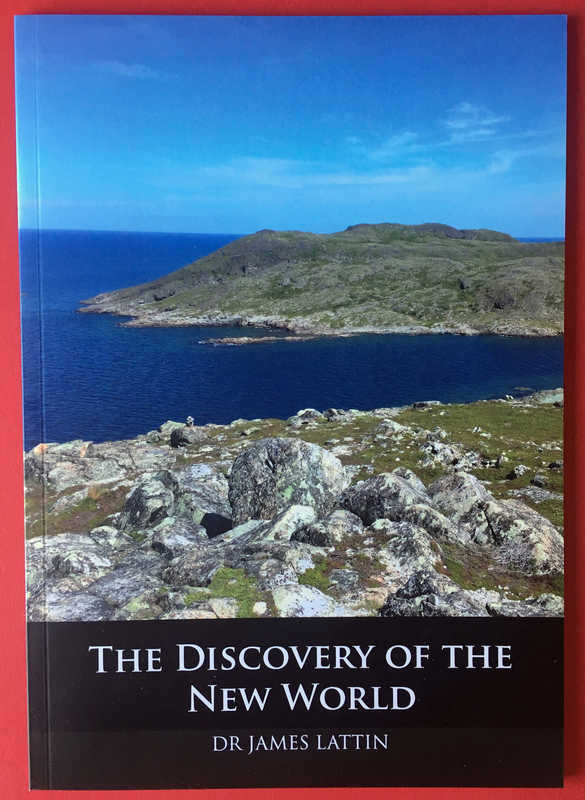 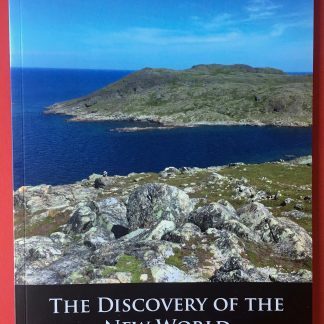 The Discovery of the New World (by Dr James Lattin) is a detailed catalogue of his 2016 tour of North America. 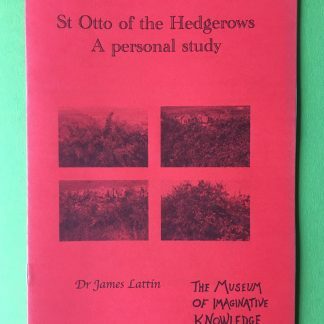 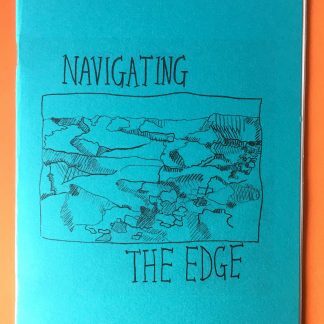 Taking his Museum of Imaginative Knowledge for an extensive wander around the Eastern seaboard, the catalogue documents time spent at both the Museum of the Flat Earth and the Museum of Everyday Life. 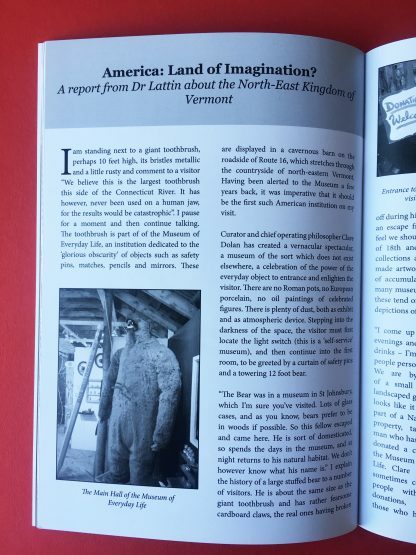 It includes an extensive survey of American Museums, with artefacts ranging from the transfer of Robert Louis Stevenson’s birthday to a piece of pottery which may not be pottery at all. 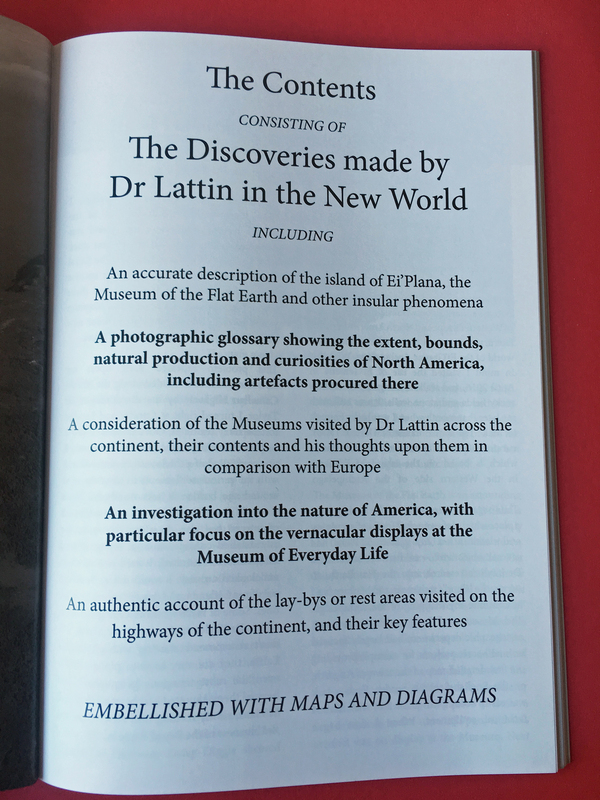 Combining striking detail with amusing insight, Dr Lattin reminds us of the similarities in the English speaking-world. 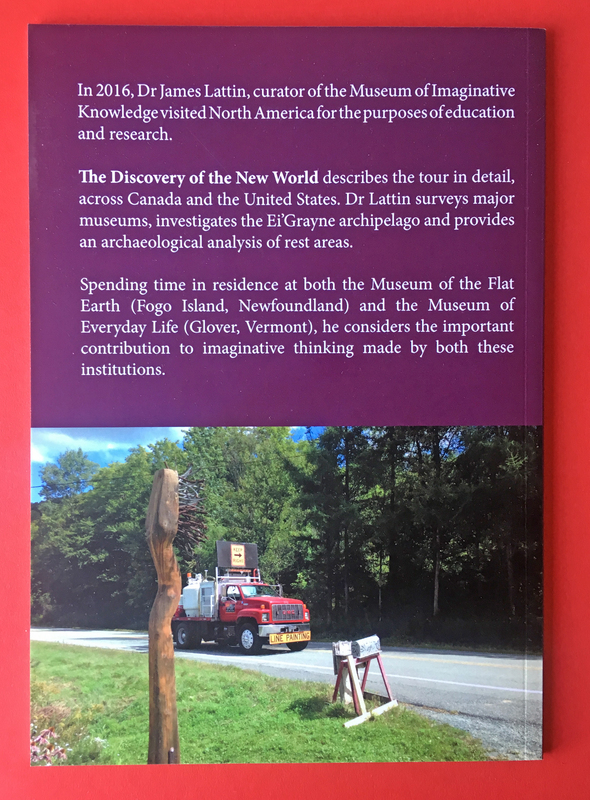 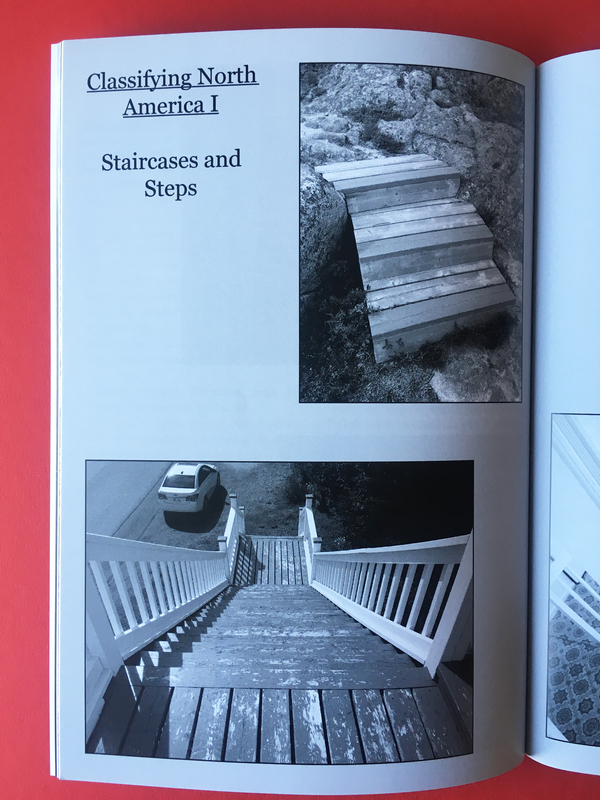 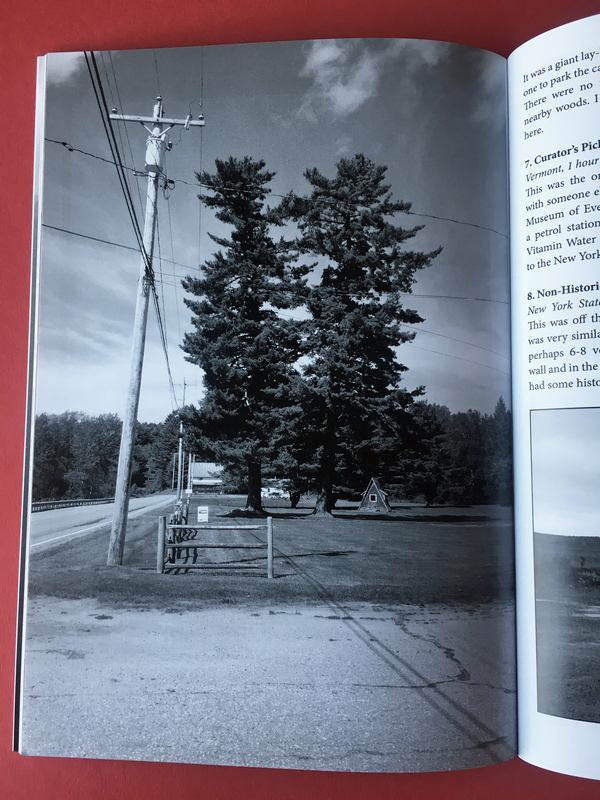 He concludes with a survey of every lay-by or ‘rest area’ which he visited in North America, leading him to startling new insights. 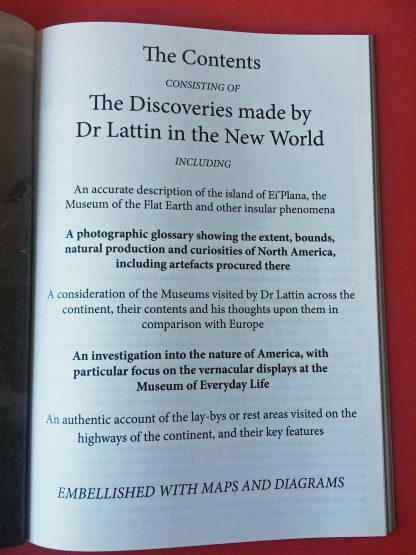 The catalogue will make an excellent present for anyone who has ever been annoyed or bored within a museum. 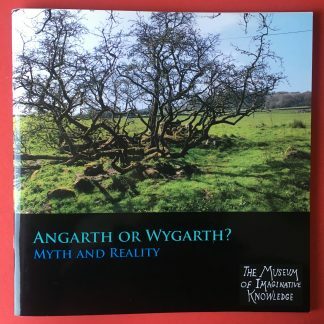 Angarth Times’ “Book of the Year” 2017.